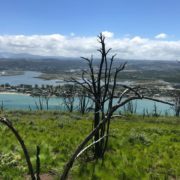 The Environmental Management Workstream of the Garden Route Rebuild Initiative (GRRI) has implemented a pilot project to train a team of previously unemployed people in invasive alien plant eradication. 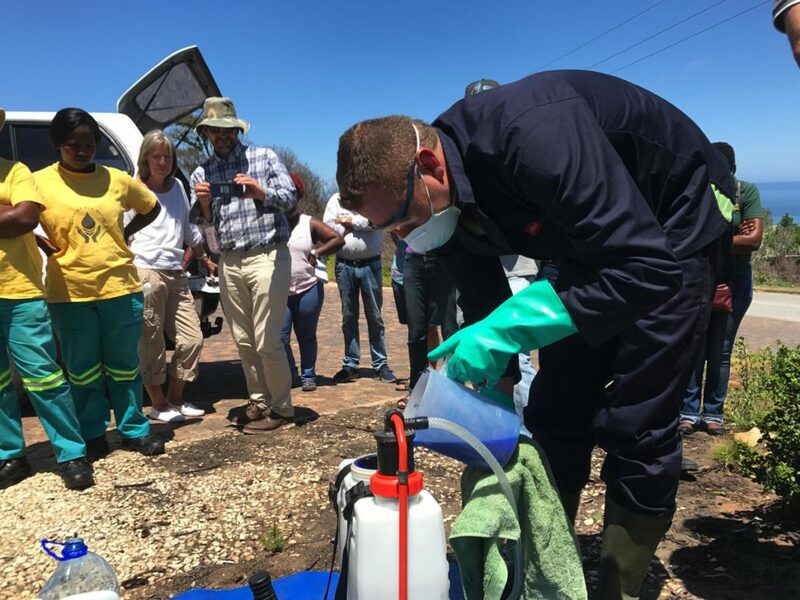 The team attended an alien vegetation management seminar and herbicide applicator training session presented by the Southern Cape Landowners Initiative (SCLI), the Southern Cape Fire Protection Association, and the herbicide research and supply company, Ecoguard, in Brenton-on-Sea last week. “We’ve established this team of twenty four people to help achieve the aims of the three priority projects of the Environmental Management Workstream: post-fire soil erosion mitigation, invasive alien plant control, and the establishment of fire breaks around communities still at risk,” said Paul Buchholz of the Southern Cape Fire Protection Association, who is also the project manager of the GRRI’s Environmental Management Workstream. Mr. Buchholz said that all members of the team have received training as brush-cutter operators, and in the application of herbicides, and that selected members will now be trained as chainsaw operators. 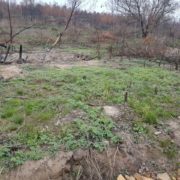 The Environmental Management Workstream is looking for partners to assist with the implementation of important projects such as post-fire invasive alien plant control. 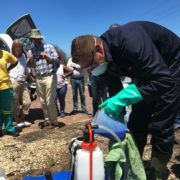 The invasive alien eradication team was established “as a result of a partnership between multiple players – including the Fund for the Reconstruction of Knysna and the Garden Route, the Southern Cape Fire Protection Association, the Department of Environmental Affairs, the Eden District Municipality, private companies like Ecoguard, and various landowners,” said Mr. Buchholz. “Partnerships will become increasingly important as the rebuild gathers momentum, because no single organisation could achieve all that we have to do, and no single institution can have sufficient resources to tackle all the environmental, socio-economic, and other challenges facing the region at the moment,” he said. “Besides achieving the immediate aim of preparing the team so that we can start using them on the ground, this programme is important because it’s providing the individuals involved with skill sets that will assist them to find work in the open market if they choose to move on,” said Mr. Buchholz.